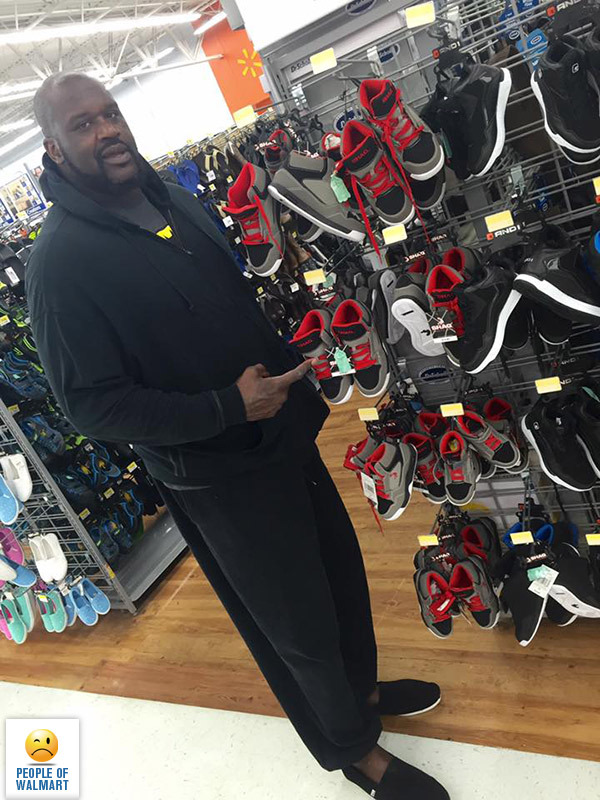 I’m glad Shaq dressed up, complete with fancy slippers to showcase his own shoes at Walmart. 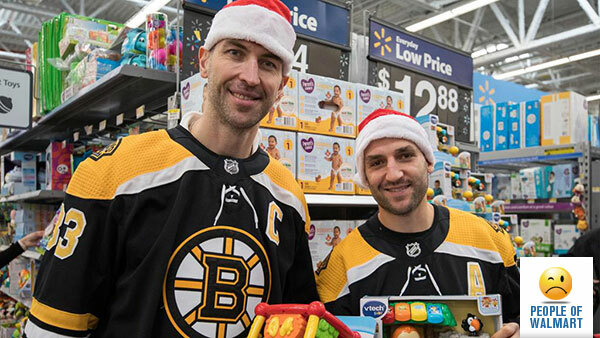 Shoutout to the Boston Bruins for getting in a little Walmart Christmas shopping for the kids. 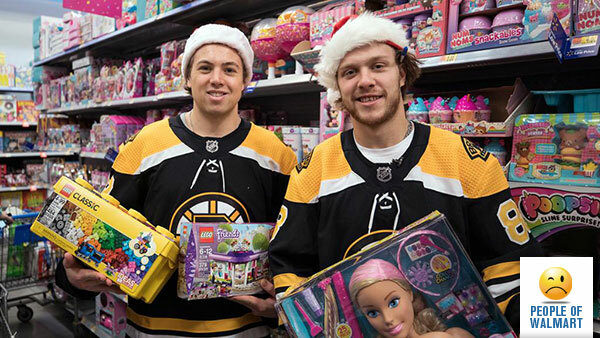 Just a heads up to the kid that gets gifts from Brad Marchand, you may want to Lysol them before you play with them. He probably licked it. 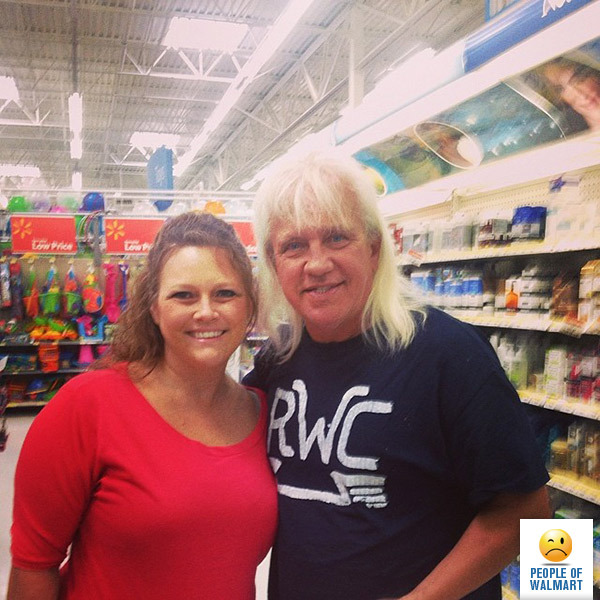 Ricky Morton from the legendary WWF tag team The Rock N Roll Express. I’m not 100% sure, but I’m pretty confident that is not his tag team partner Robert Gibson. Dude. For real. 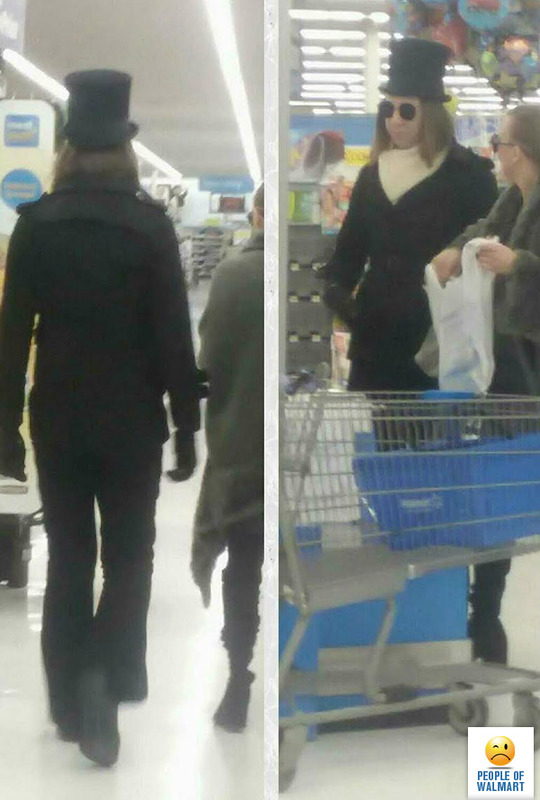 If you’re going to walk around this world dressed like Willy Wonka at least dress like the real Gene Wilder Willy Wonka and not the weird Johnny Depp Wonka.